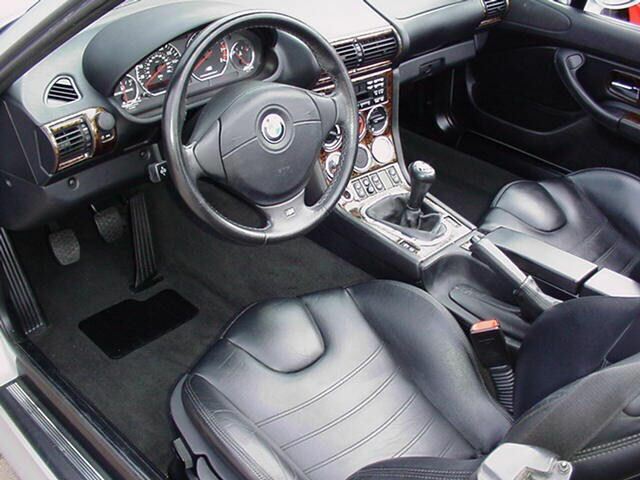 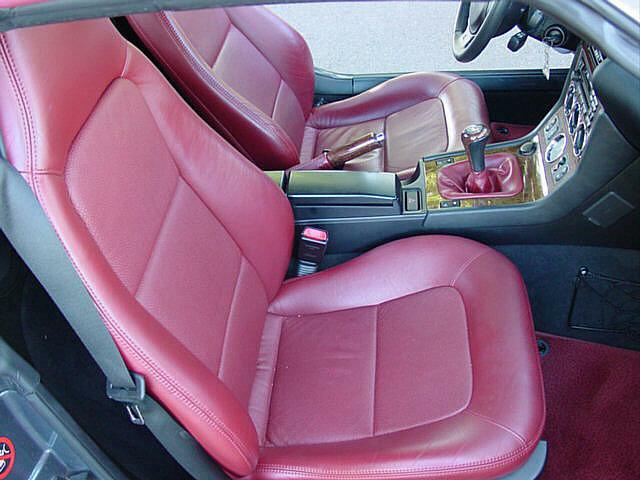 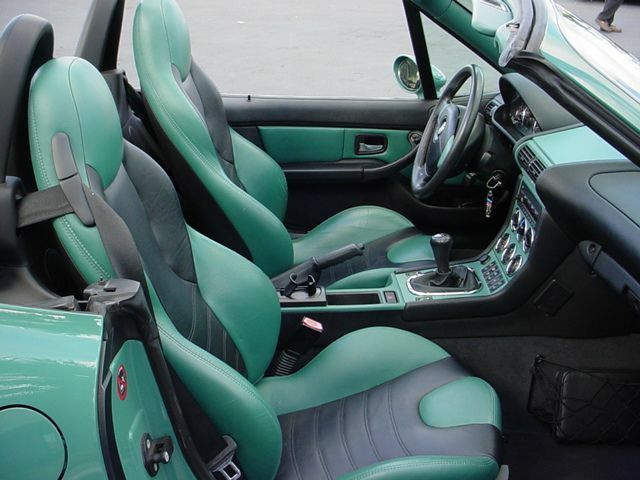 Back in the 90s, car manufacturers offered lots of extravagant leather types and color combinations. 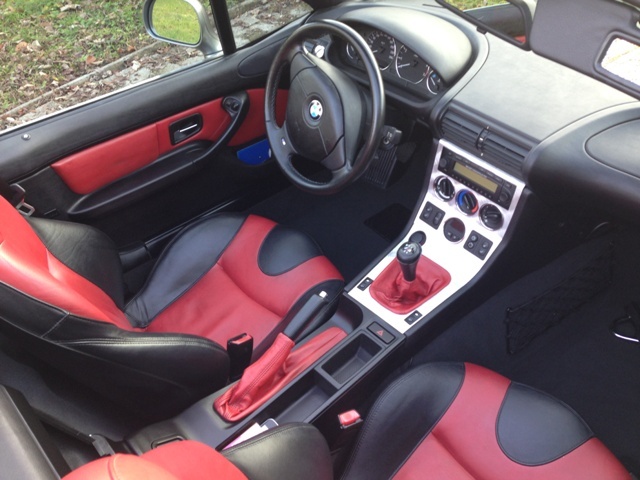 The Z3 was no exception! 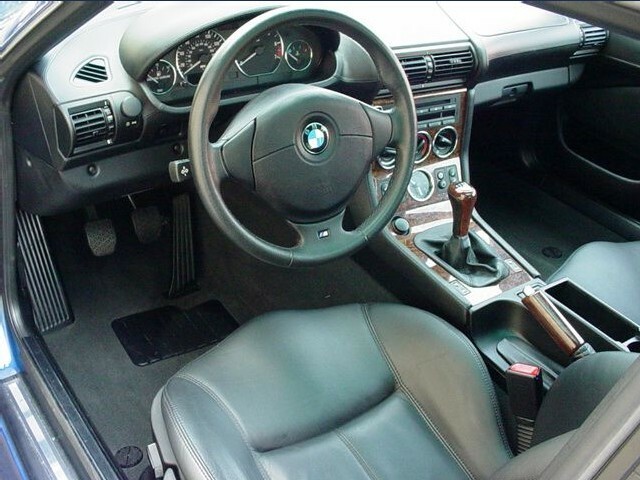 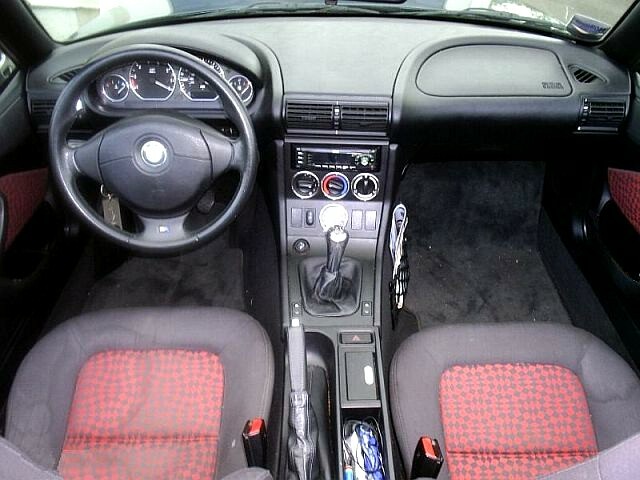 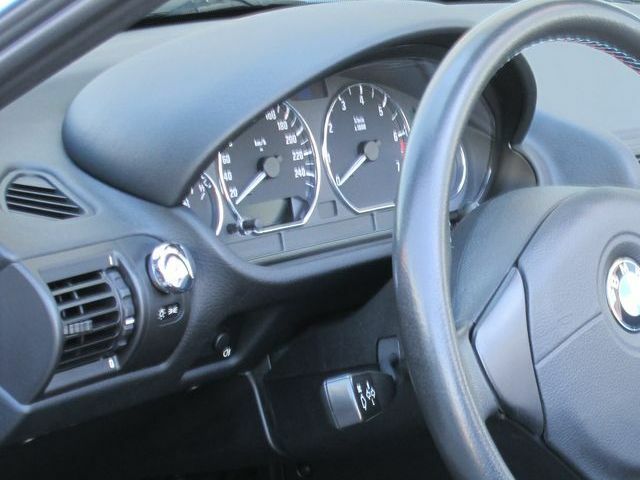 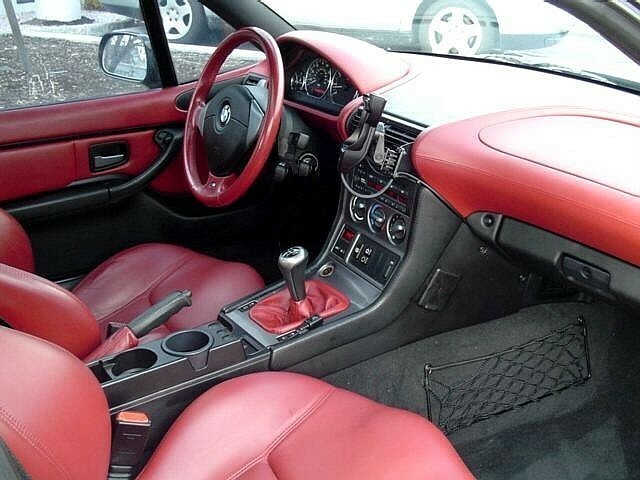 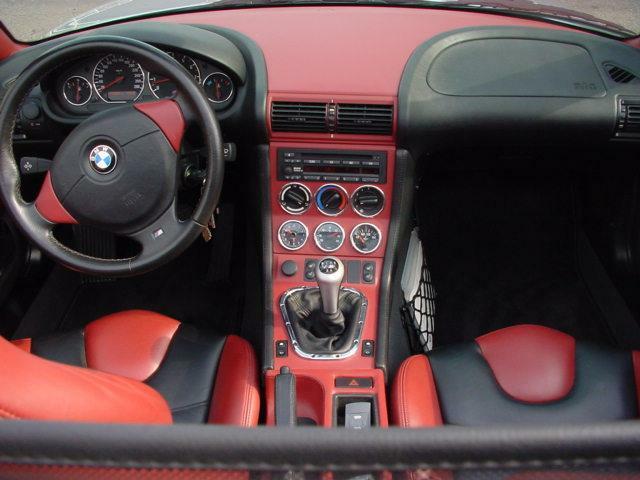 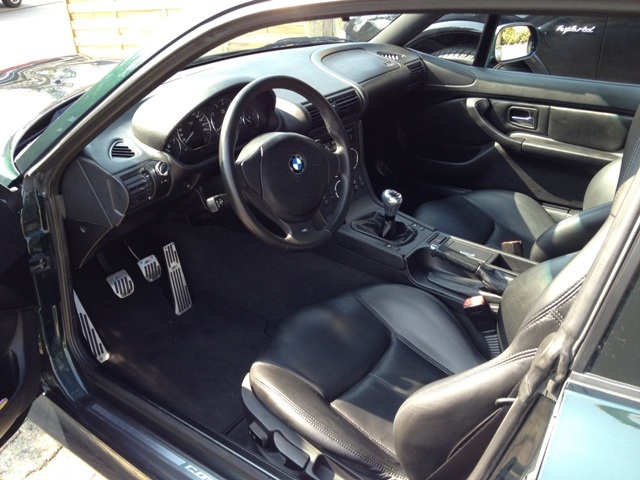 The Z3 could be ordered with lots of different interiors. 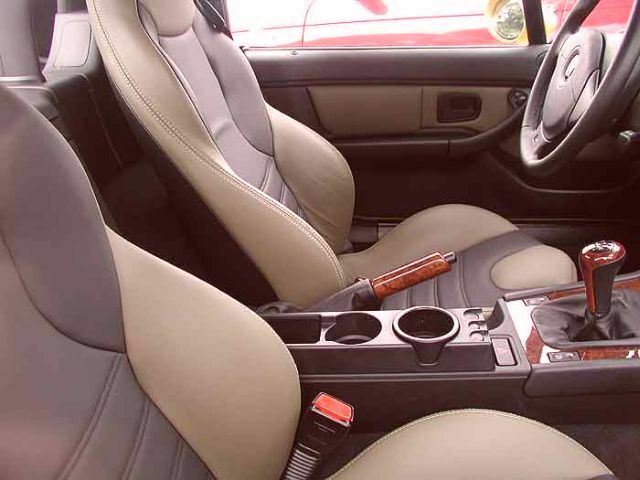 From seats to leather types and colors, we will try to bring some clarity to all the different combos you can find out there. 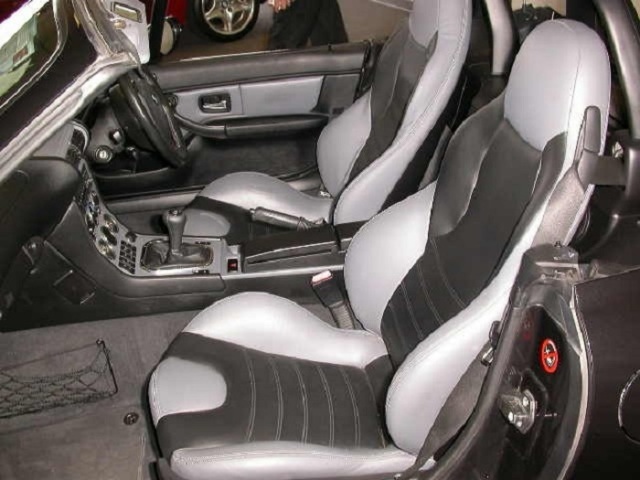 From a shape point of view, there are 3 kind of seats with different foam and metal structures. 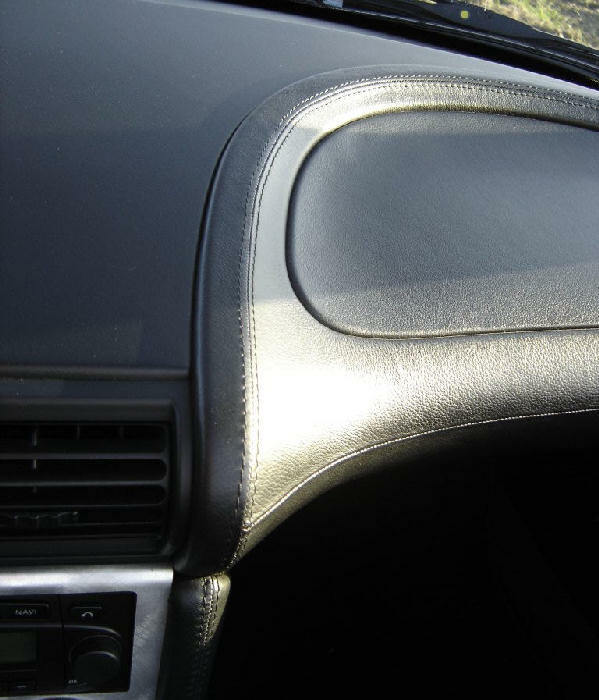 To complicate even more, within each of them, we can find different patterns of leather / cloth. 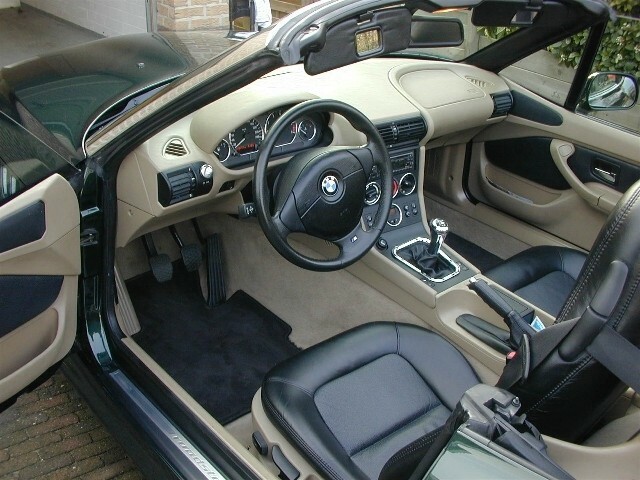 Standard on all roadsters up to the 3.0i, they offer little lateral grip, however make the cabin look a bit more spacious. 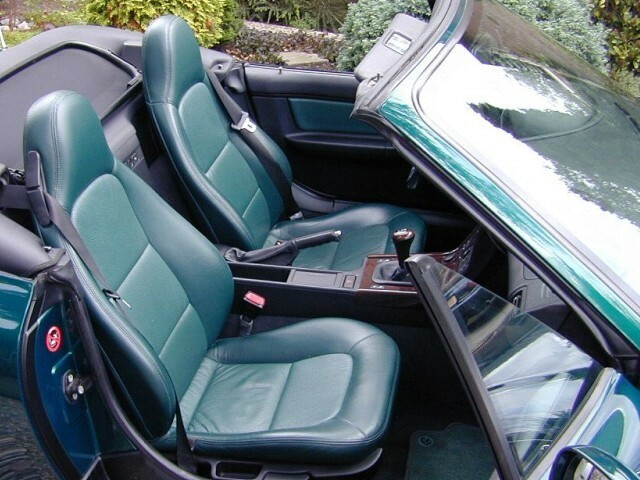 Standard on all Coupe (with nappa leather), they were an optional extra on the roadsters. 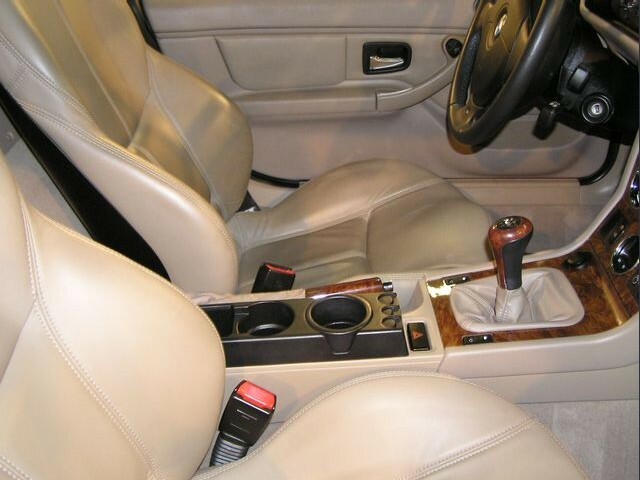 Good lateral grip. 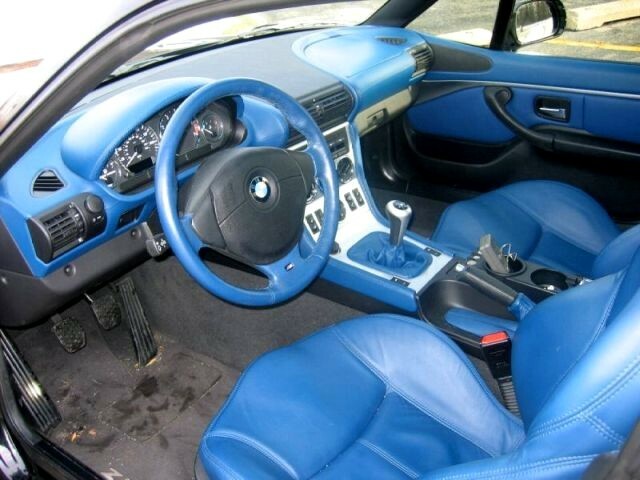 Best lateral grip, but bigger people might struggle to be comfortable in them. 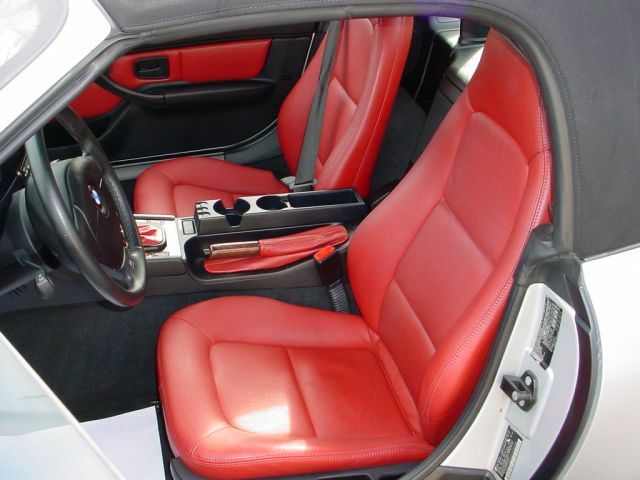 Only available on the //M models, and some individual non-M Z3. 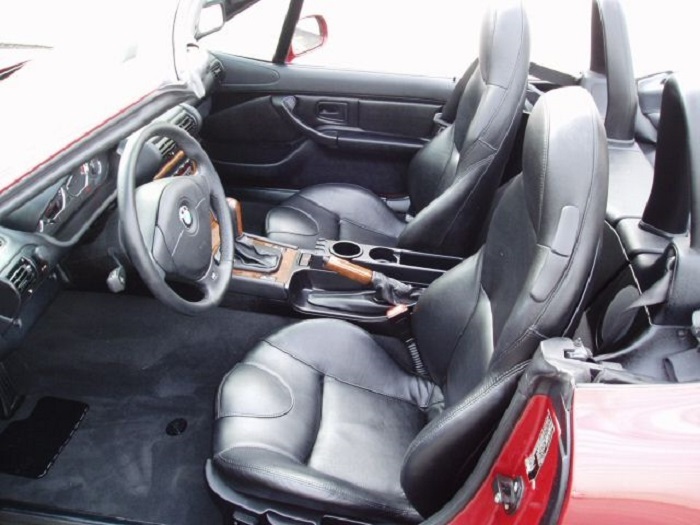 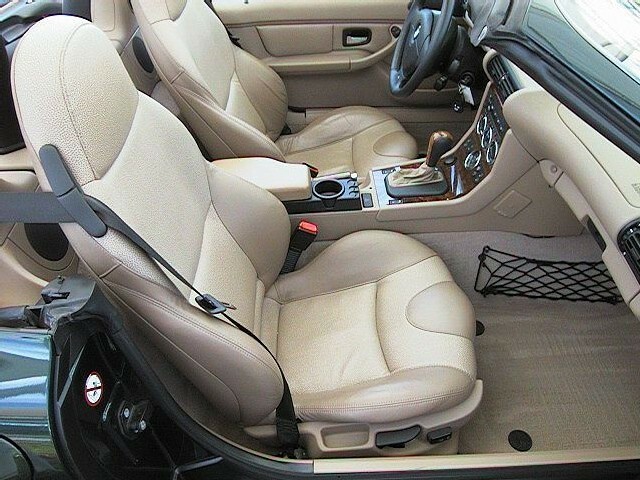 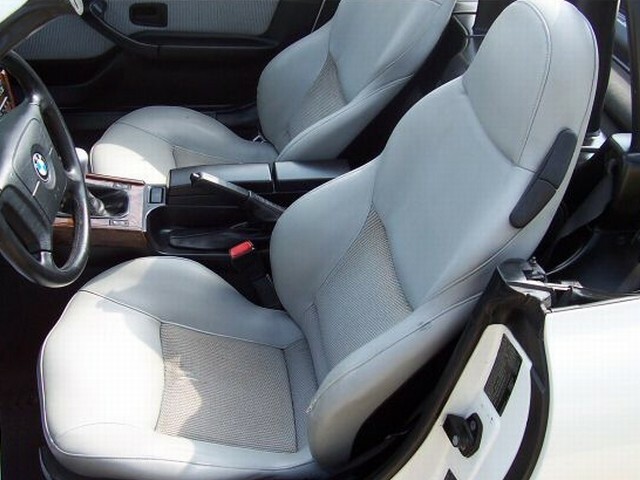 With the standard leather, the owner basically gets some leather on the seats and the center of the doors. 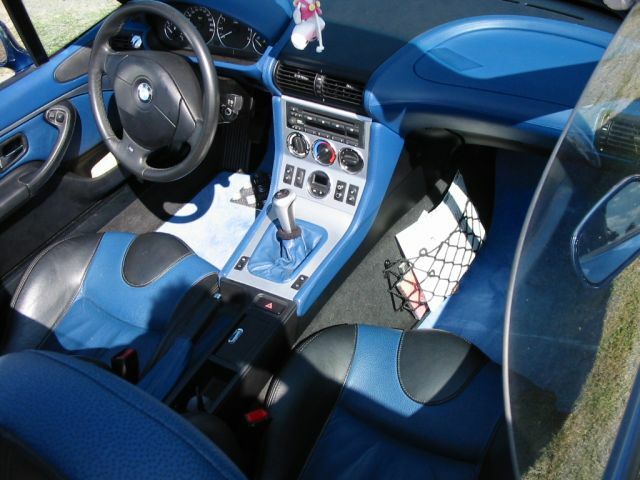 The rest is made of plastic and/or leather imitation. 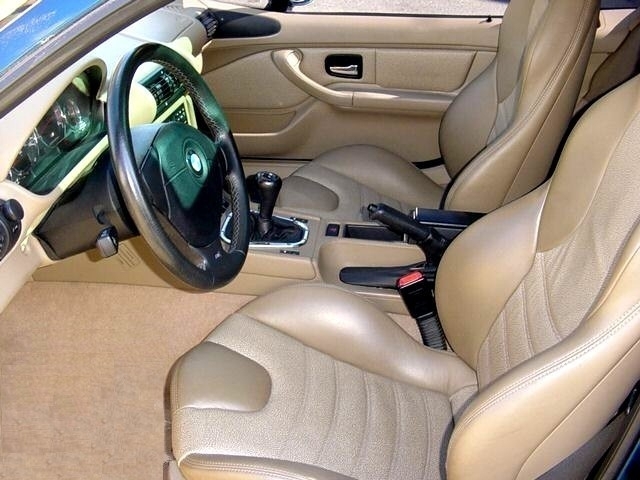 With the extended leather optional extra, the leather feel is much more present. 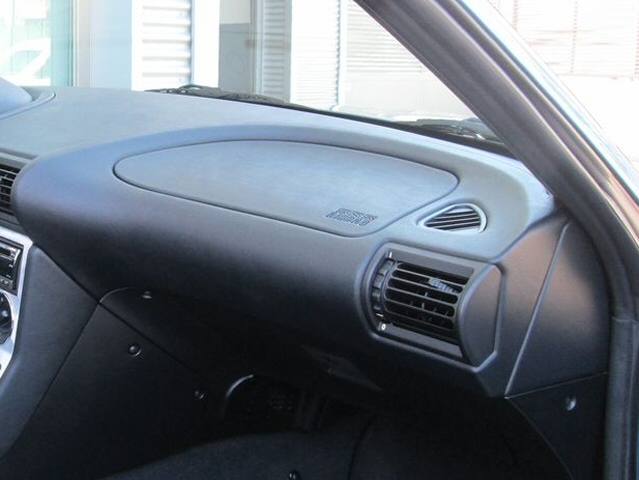 On top of the above, the owner gets a leather covered dashboard, same for the top of the doors, and the lateral parts of the center console. 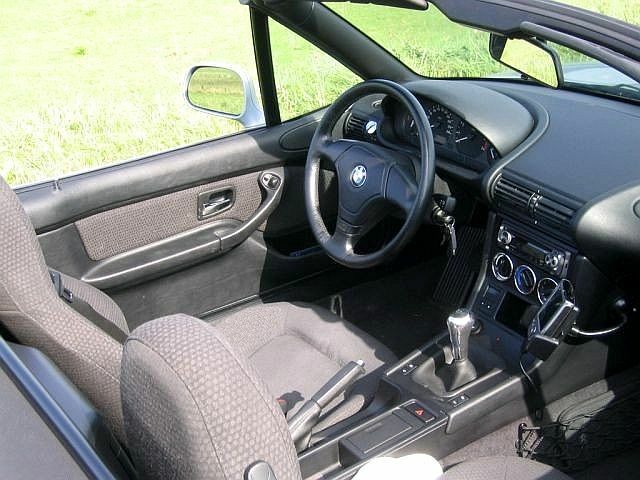 On top or normal spec: dashboard, top of doors, console lateral parts. 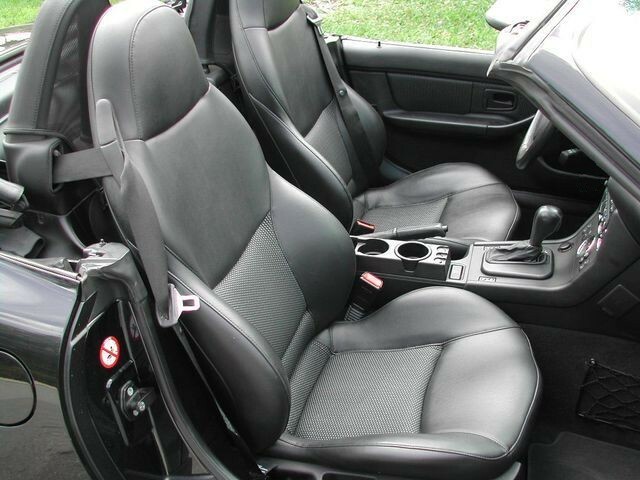 You can spot it with the extra stitching. 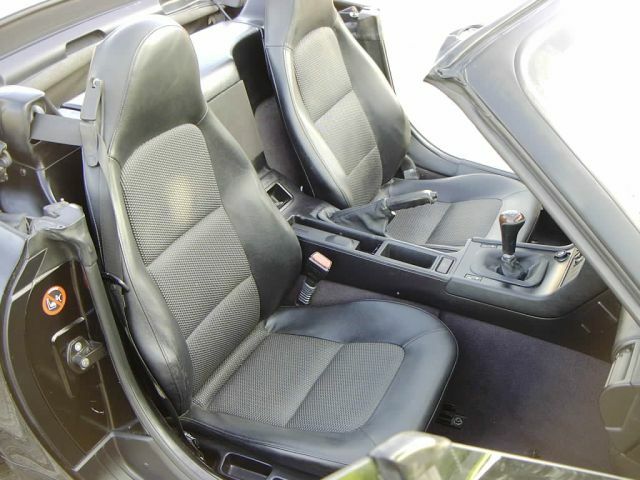 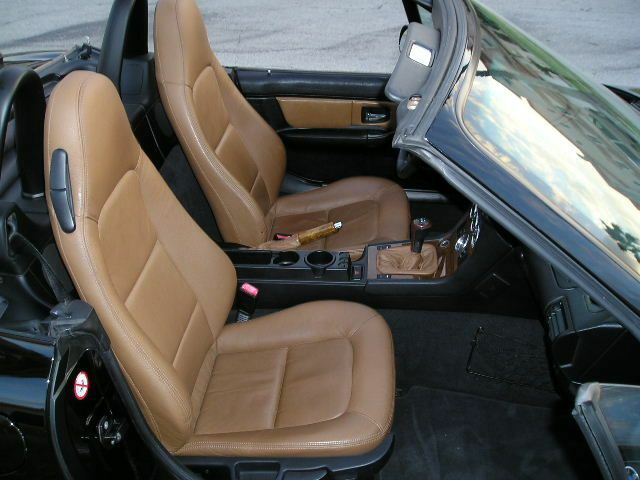 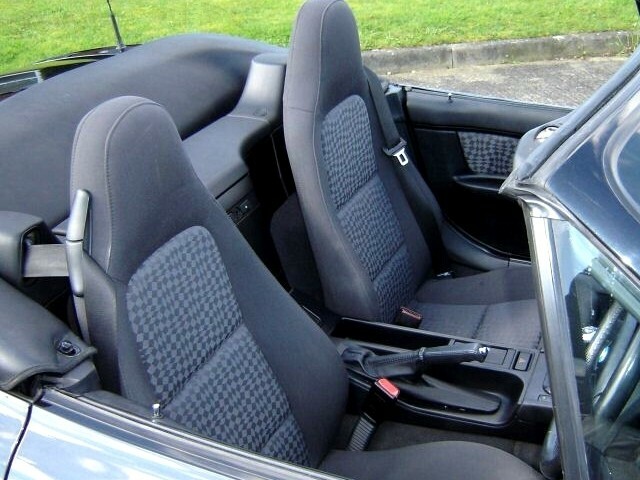 Normal seats (roadster only) could be made of cloth (no leather) as standard on the 1.8 and 1.9, or half cloth half leather. 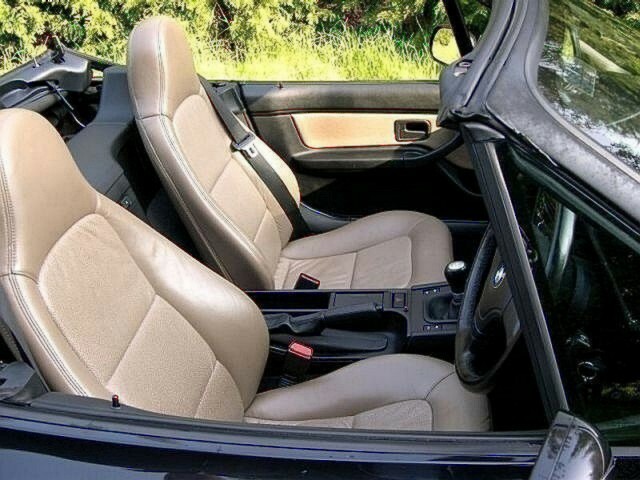 Of course, you could also get them in smooth leather (Classic), or rugged on the inside (Oregon). 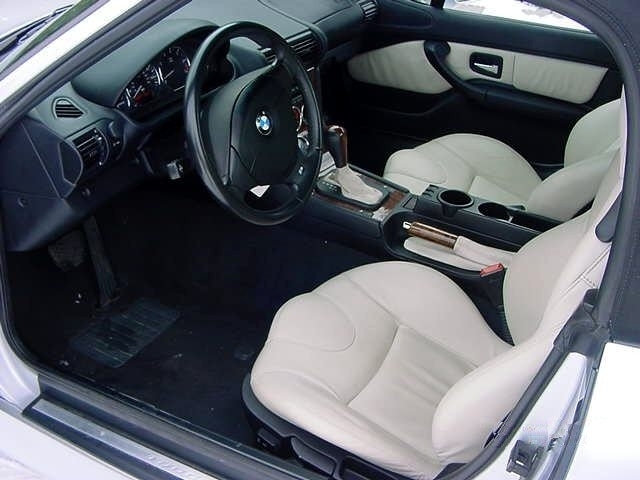 Standard on 1.8 and 1.9. 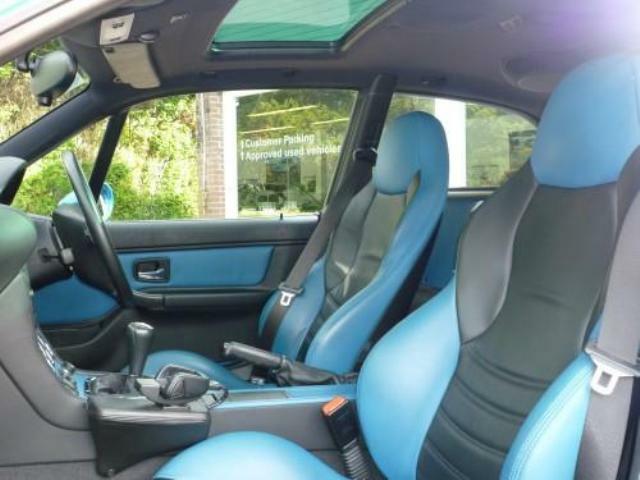 Nice classic touch! 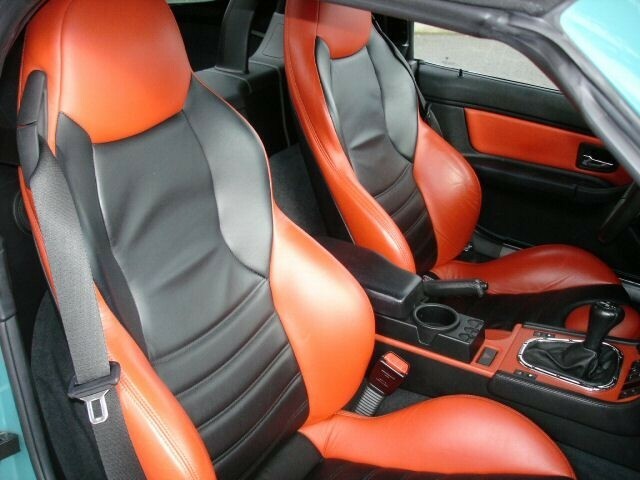 Very uncommon, made of cloth on the inside and leather imitation on the outside. 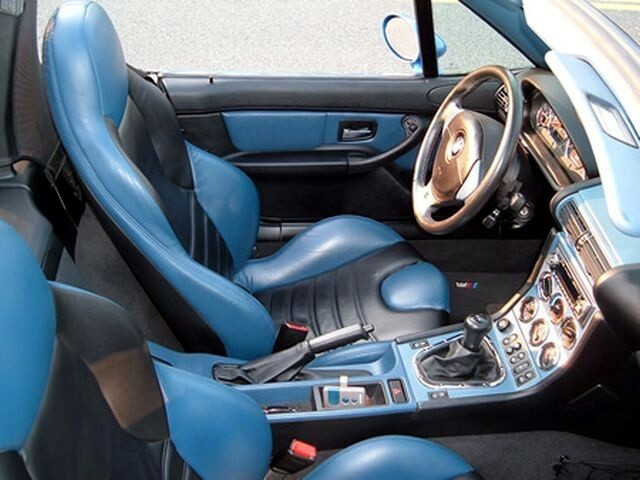 1 or 2 tones, rugged leather on the inside. 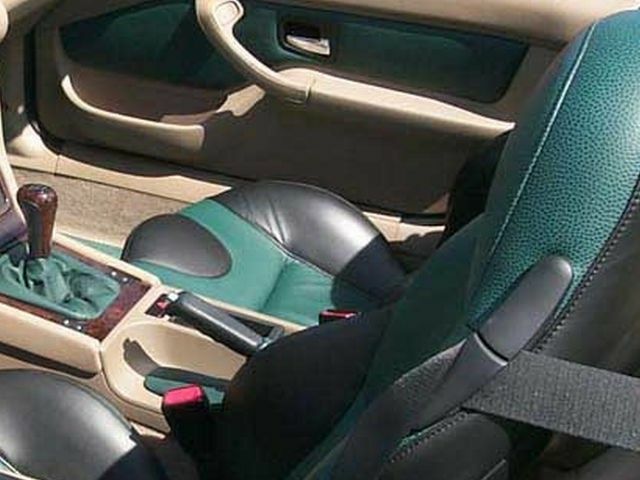 Could also be combined with extended leather (dashboard, etc). 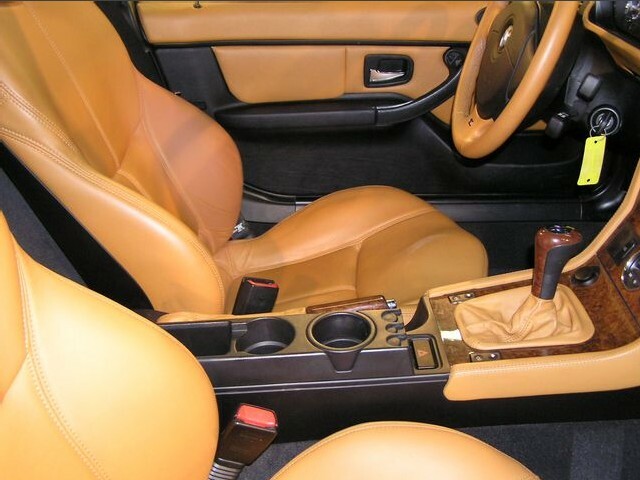 1 or 2 tones, smoother leather than the Oregon. 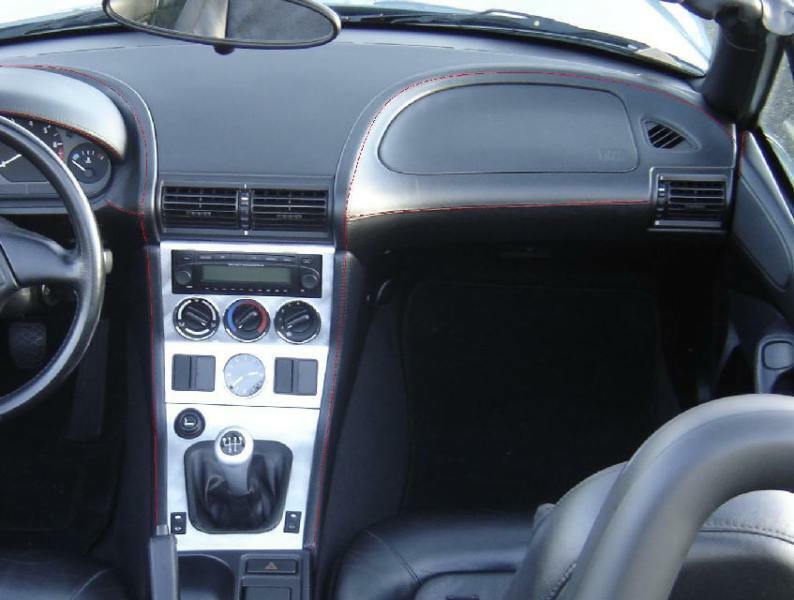 Standard on Sport Edition models. 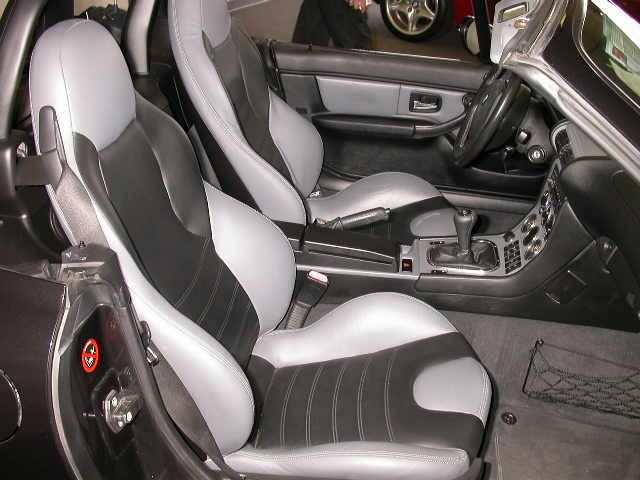 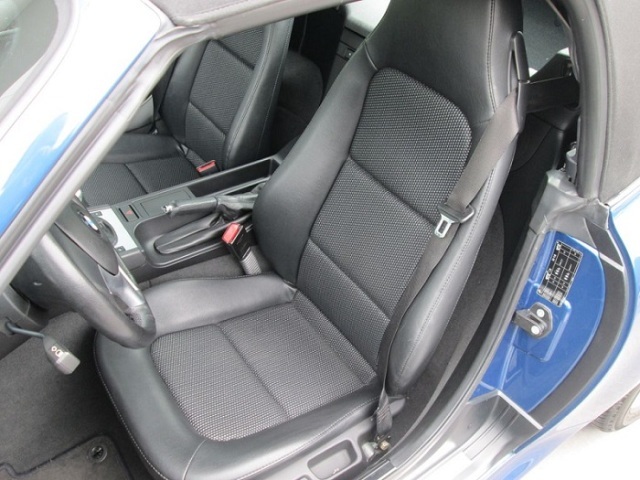 M seats were standard on M Roadster and Coupe, and also on some specific Individual editions. 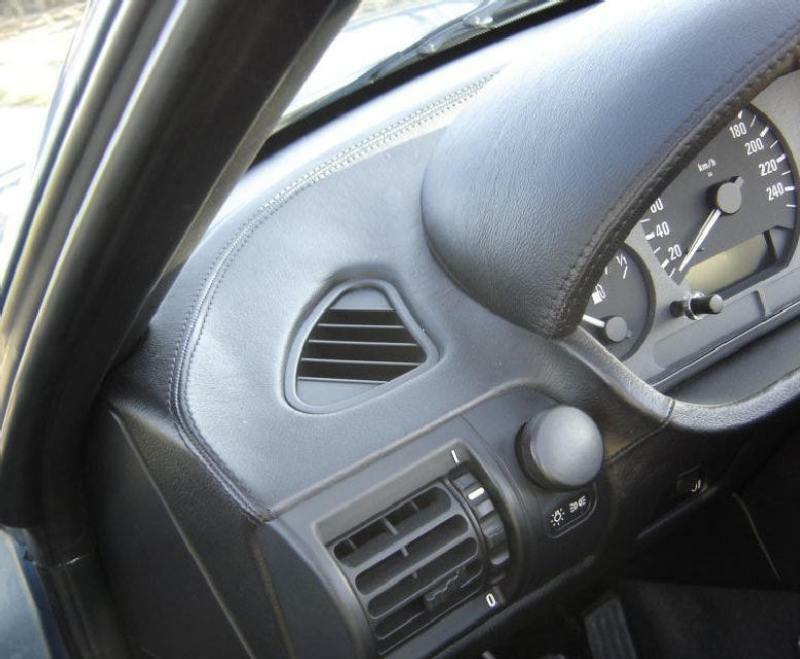 The have an additional support on the shoulder zone, and offer even more lateral grip. 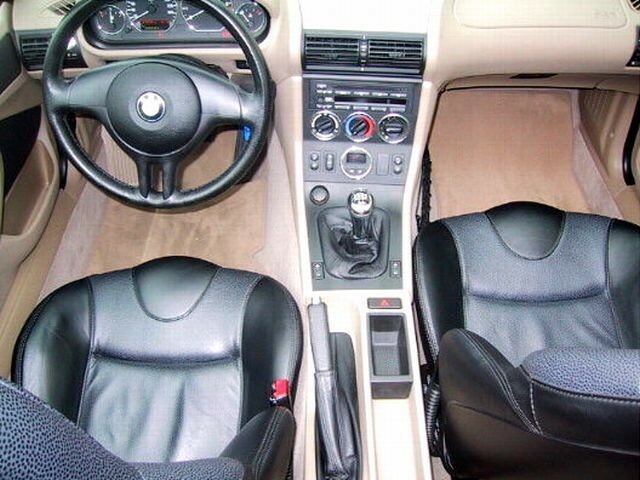 The 2001-2002 S54 models get exclusive Kiwi and Laguna Seca new colors (below). 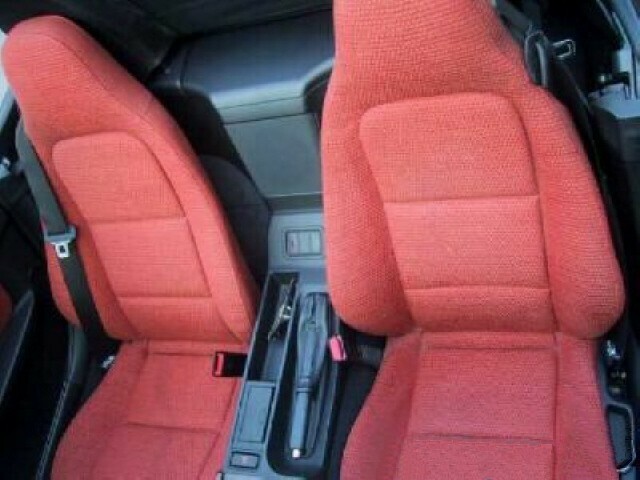 Kyalami and Evergreen are no longer available. 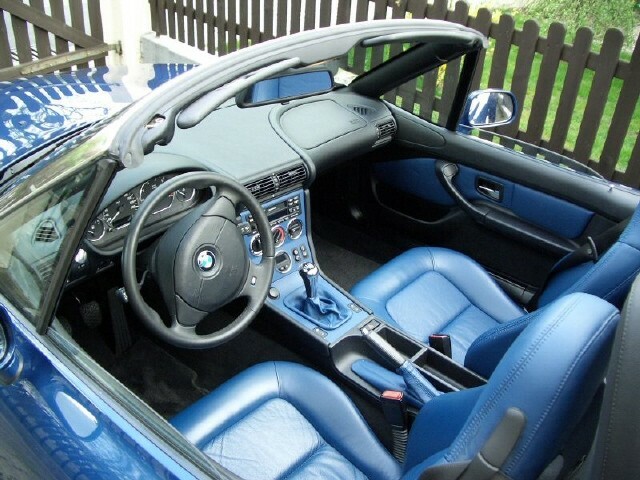 All BMW and Z3 logos and brands are BMW AG property.